Starting a business requires more than a brilliant idea and an airtight business plan — it requires moxie. A lot of it. After all, it’s probably one of the biggest decisions you’ll ever make. At Paychex, we get that. We understand and respect the risks you’re taking by opening your own business. We also know what it takes to succeed — we work closely with thousands of successful businesses every day. 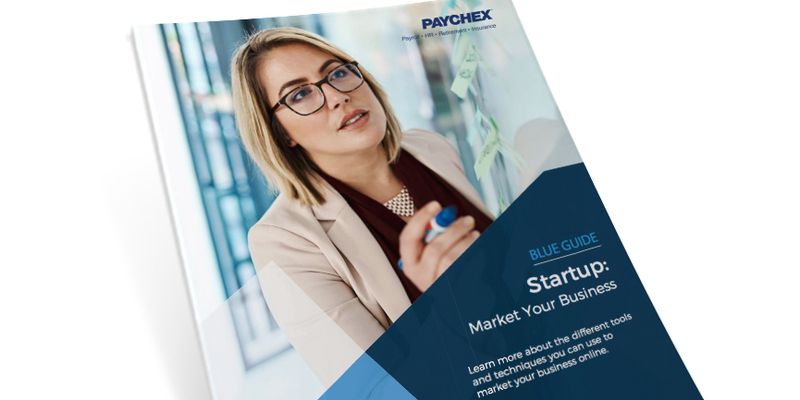 With Paychex beside you, you’ll have the startup services and software you need to help you succeed. Get help with payroll, marketing, incorporation, payments, and accounting. Assess your risk and choose a business entity. Get help planning, incorporating, and managing your business. 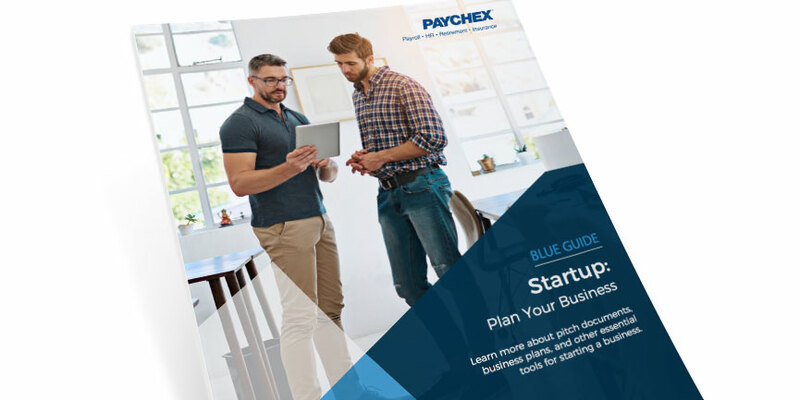 See what startup business clients have to say about working with Paychex. 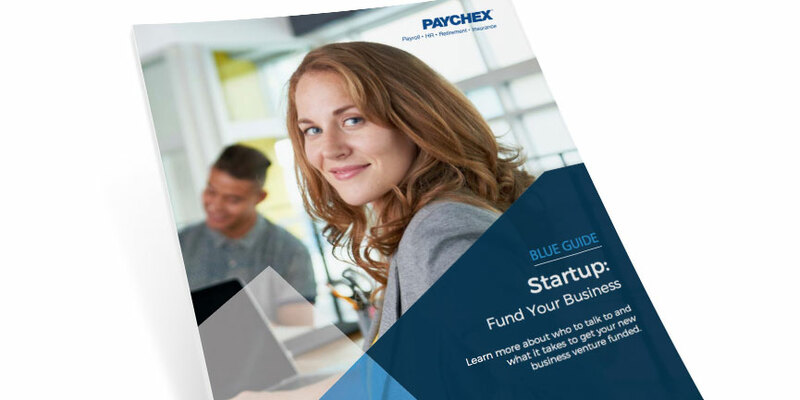 When you’re ready for payroll, Paychex is ready to help. Our full-service payroll services are a perfect fit for newly started businesses. Offer your customers a full range of integrated payment solutions such as ACH and credit and debit card processing, and ring up sales with our state-of-the-art point-of-sale solutions. Get 50% off your first month of LivePlan – the world's leading business plan software for entrepreneurs and growing businesses. Get help securing funding from lenders or investors and track your ongoing progress. Understanding and mitigating risk are critical whether starting or growing your business. With Traklight's free Business Risk Assessment, you can identify the risks facing your business and get detailed steps on how to resolve them. In order to help new business owners understand legal business entities, this MyCorporation tool helps answer the question: “What type of business entity should I form?” Just answer a few simple questions about your business, and the Entity Choice Wizard will show you what type of entity best suits your business. Read more about the Entity Choice Wizard. Learn how to create a business plan that can help you succeed, including selecting a business type, preparing a business pitch, and preparing a formal plan. Read about planning your business. Discover what information is important, and what you should seek out, to start your business on a fiscally sound footing. Learn about topics such as credit history, loans, venture capital, and lending risk. Read about funding your business. A sole proprietorship may not be the best solution for your business. Learn why incorporating your business may make sense for you, the benefits and pitfalls of popular business types, questions to ask when choosing where to incorporate, and how to start the process. Read about incorporating your business. If you're not effectively marketing your business online, you're missing a potentially lucrative opportunity. In this guide, you'll see how you can get more from your online marketing efforts, with information on topics such as how to get your brand online, social media, marketing planning, and the importance of metrics. Read how to market your business online. 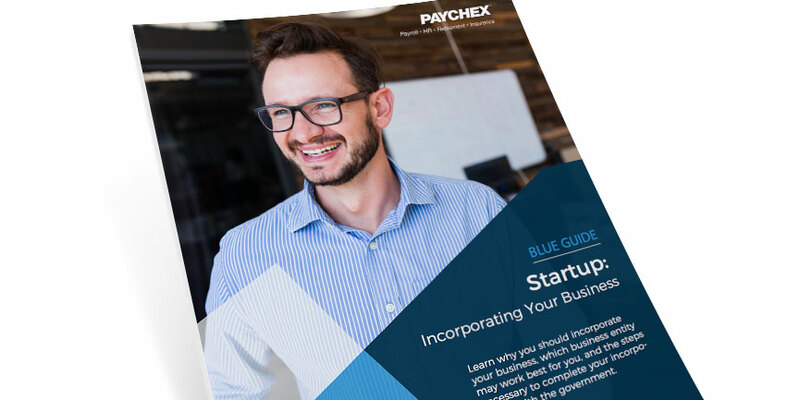 Refer to this guide for details on the key steps to hiring and paying your first employees, such as job postings, new-hire reporting, employee classifications, overtime rates, and tax deposits and returns. Read about hiring your first employee. Paychex is more than just payroll services. Through the help of their Paychex representative, The Glass Block Guys, were introduced to CardX, a service that helps reduce credit card service fees. See how Rescue Village’s dedicated Paychex HR professional, Ronnda, helps them ensure the business is doing all it can for its employees, from streamlining processes online to assisting with hiring and training managers and supervisors.